Serving small business owners, entrepreneurs and executives, I use my proven executive coaching expertise to help businesses succeed. Backed by over a decade of successful business ownership, business development and team management, I am an accomplished, results-oriented business leader with a passion to help others reach the next level of growth. With close to 20 years of digital marketing experience, I have helped many caliber companies across the country realize the power of the internet as a tool for building brands, engaging customers, and most of all, driving revenue. When I am not pursuing new business ventures, or helping others build their own business success, you can find me in the garage working on classic cars or at the gym preparing for an Olympic Lifting competition. And if you live near the Monmouth County, NJ area, there’s a chance you’ll spot me at the latest fundraiser actively serving my community. Fueled by my passion to help others and solve problems, I have an accountability-driven mindset and unstoppable energy. Between my private business coaching practice, CMDS and Post Cafe, my ultimate goal is to help other entrepreneurs peak their businesses and get big results. Whether I am mentoring a new business owner or an entrepreneur who needs help igniting new business growth, my dedication to continual innovative success is what sets me apart. 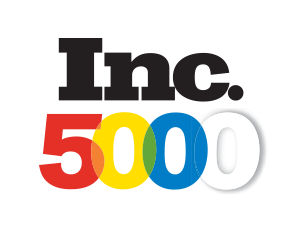 In 2016, Inc. magazine ranked CMDS, my NJ full-service marketing and web design agency, on its 35th annual Inc 5000 list. Featuring the most competitive crop in the lists history, CMDS came in at number 1989 on the exclusive ranking of the nation’s fastest-growing private companies. Named one of “Jersey’s Best Marketing and Communications Professionals Under 40” by The New Jersey Advertising Club and the Jersey Shore Public Relations & Advertising Association (JSPRAA), I was selected as one of the best-of-the-best for my outstanding work, creativity, leadership and involvement in the community. (732) 481-1012 to get started! What are your specific challenges? © 2019 Chris Mulvaney. All rights reserved.